1.1 Brookstone Weighted Blanket Review – How Does It Work? 1.4 How Effective Is It? Brookstone is one of the biggest companies in the world that specializes in almost anything – from blankets, fitness, gadgets, toys, outdoor tools, and home accessories, among others. 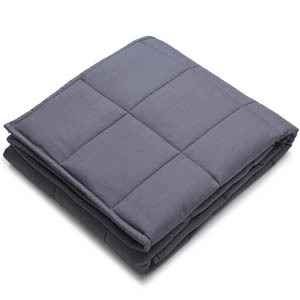 They offer a broad range of products across all markets, and one of these products is the Brookstone Weighted Blanket. Since it’s one of the least costly weighted comforters in the market, I decided I had to get one and give it a thorough try. I am suffering from anxiety attacks, especially at night, so I was really hoping this product can help me sleep better and alleviate some of the symptoms. All I can say is that it’s not quite like most covers on the market. It has some flaws but overall, I find it is a worthy contestant for the title “Best Heavy Blanket“. For a detailed review of the Brookstone, what I loved about it, and its very few shortcomings, please read on! Brookstone Weighted Blanket Review – How Does It Work? 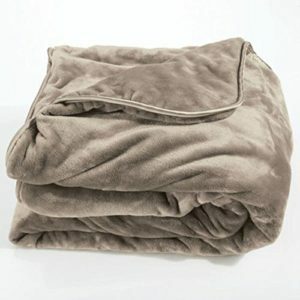 Weighted blankets are very popular today because of the wide range of health benefits they offer. In fact, I’ve read many articles about how they have helped many people across the globe. They suffered from many conditions such as autism, anxiety, insomnia, panic attacks, and stress, among others. The fact that they attested to the efficacy of weighted blankets on their conditions made me want to try one. Because of the stressful hustle and bustle of life, many people suffer from stress, anxiety, and other mental health problems. Along with these conditions comes a spectrum of various related disorders, including sleeping problems. Lack of sleep can negatively impact your life, work performance, school work, relationships, and physical health. 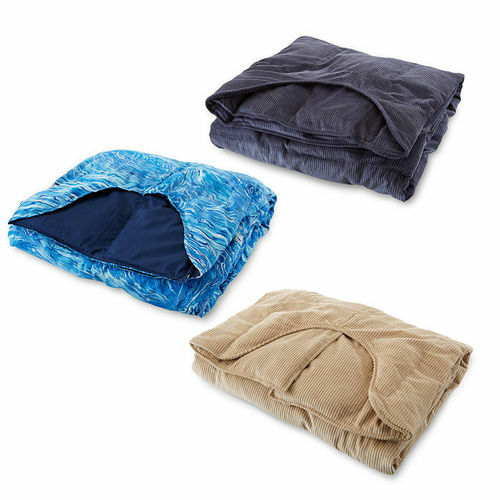 Weighted covers provide comfort and relaxation. The science behind weighted products is due to deep touch pressure (DTP), which is a light pressure applied to the body to promote relaxation. Deep touch pressure triggers the production of serotonin in the brain. It’s an important chemical messenger that helps relax the body. The lack of this neurotransmitter has been linked to numerous conditions including sleep disorders, insomnia, attention deficit hyperactivity disorder (ADHD), autism spectrum disorder, restless leg syndrome, anxiety, panic attacks, and stress, among others. Weighted duvets provide comfort and have a calming effect on the body as it mimics a hug. It also increases the levels of melatonin, which controls the body’s internal clock. It tells you when to sleep and to wake up. Moreover, since they mimic a hug, it helps the body release the hormone oxytocin. This hormone aids in reducing the blood pressure, slowing the heart and gives a feeling of relaxation. The Brookstone Nap Weighted Blanket is designed to help you sleep better at night, especially if you suffer from sleep problems such as insomnia, restless leg syndrome, and anxiety attacks. It comes in three elegant-looking colors – taupe, ivory, and grey. There are many sizes and weight variations to choose from, just make sure that what you order is about 10 percent of your body weight. This way, you won’t feel too grounded when you sleep, or too light that it won’t be as effective. The size of the blanket coincides with its weight. They have sizes such as extra small (36″L x 32″W x 0.5″H; Weight: 5 lbs), small (42″L x 36″W x 0.5″H; Weight: 8 lbs), medium (54″L x 42″W x 0.5″H; Weight: 12 lbs), large (72″L x 54″W x 0.5″H; Weight: 16 lbs), and extra large (80″L x 57″W x 0.5″H; Weight: 25 lbs). You should always measure the cover and make sure it’ll fit your bed. Weighted comforters should never hang on the sides of the bed. This can reduce the effectiveness of it and not giving the adequate deep touch pressure level. The Brookstone sensory blanket has pocket construction for the even distribution of the pellets it is filled with. But, I observed that when I use it, the pellets sometimes go to the sides. This makes the distribution a little uneven. But, overall, the Brookstone is okay based on its price. 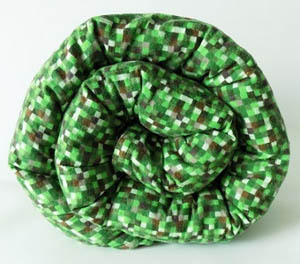 It’s a well made weighted duvet for starters and people who want to try what’s it all about. It’s made with cotton, PET pellets, and polyester, with a removable weighted insert. The cover is washable, but the insert isn’t. Though the build is actually pretty good, especially that the cover is cotton, which makes it breathable and comfortable. But, I noticed an odd smell coming from the blanket, it has a plastic odor but I guess washing it can help. Cons aside, I can say that after a week of using the Brookstone Weighted Blanket, I slept better and did not have a hard time falling asleep. I have anxiety for the past two years and can’t sleep well at night. As soon as I used the weighted blanket, I can say that it felt comfortable and cozy, I dozed off right away – that’s a first for about a year. Usually, I would feel cranky in the morning because I slept for just about four hours at maximum the night before. But, with the weighted blanket, I had 7 hours of straight sleep! Also, I felt refreshed the next morning so I was up for work with a more positive attitude. The Brookstone Weighted Blanket costs just $150, which is way cheaper than other weighted blankets in the market today. They say that you get what you paid for, and for me, I guess it’s not that bad after all. For people without sleep problems, the price isn’t worth it. 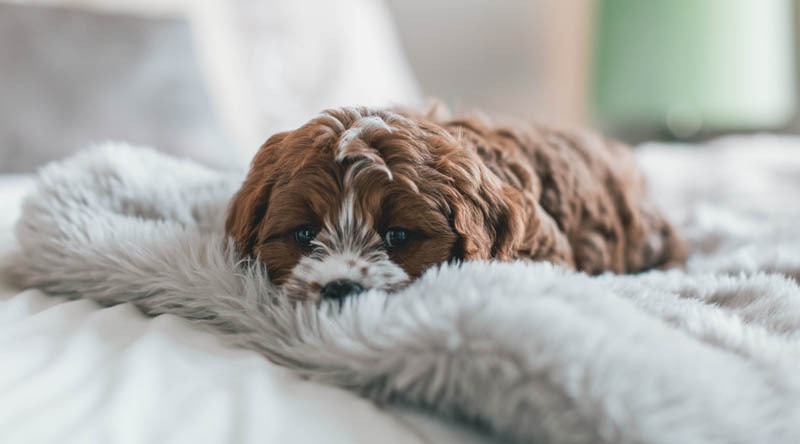 But, for me and others who only wish for a good night’s sleep because we suffer from all sorts of conditions, the mere fact that this blanket can actually help you sleep, is worth all the bucks I’ve shed off. 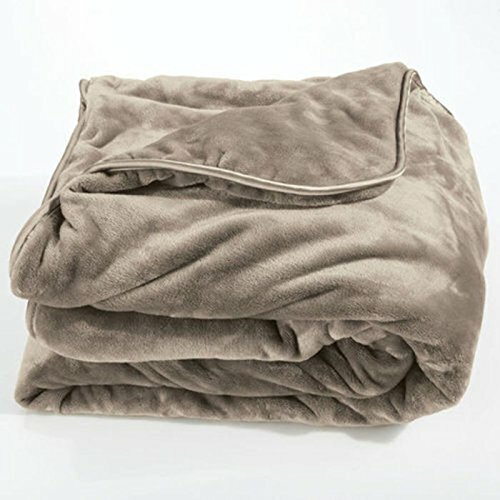 My verdict about the Brookstone blanket that it is indeed worth the price if you’re willing to brush off a few minor flaws. For starters, this blanket is okay but if you want more quality build and materials, you can go to more expensive brands like my favorite blanket so far – the Gravity one. For me, I am looking for effectiveness and functionality over build quality. If it worked for me, why would I buy more pricey weighted blankets that offer the same purpose, right? After just days of using it, I had the best sleep of my life since I had anxiety. For those suffering from insomnia, anxiety, and other issues affecting sleep, this product is a must-try. It eases my anxiety and I spent the night sleeping soundly – not thinking with racing thoughts and tossing around. Just make sure you wash the cover first before using it because it has a plastic odor. Aside from that, I think everything is alright with the Brookstone Weighted Blanket. Find the right size for you and make sure it fits your bed, too. Weighting Comforts Weighted Blanket Review- Does It Work?